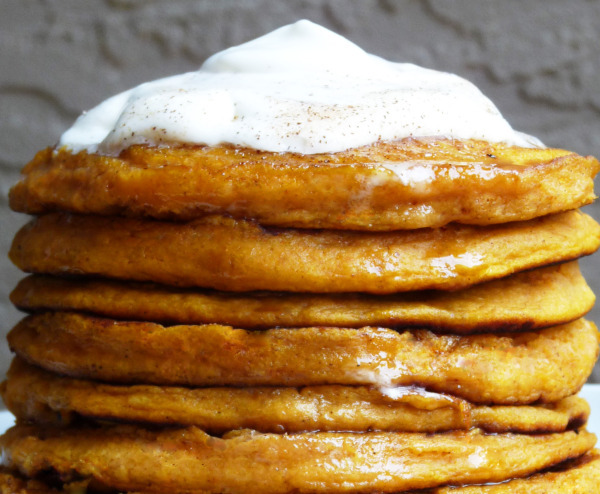 BREAKING NEWS Y’ALL: it’s pumpkin season!! You didn’t know, right? Well, it IS kind of a secret. It’s not like you’ve been getting pummeled with all things pumpkin-flavored, pumpkin-scented, and pumpkin-hued since August, yea? Did anyone even bother to tell you it was FALL?! Truth be told, I like pumpkin. In fact, I f___ing love pumpkin. I haven’t met a pumpkin recipe I don’t like, and eagerly await Fall each and every year so I can go cray on the pumpkin baking. Pumpkin pie. 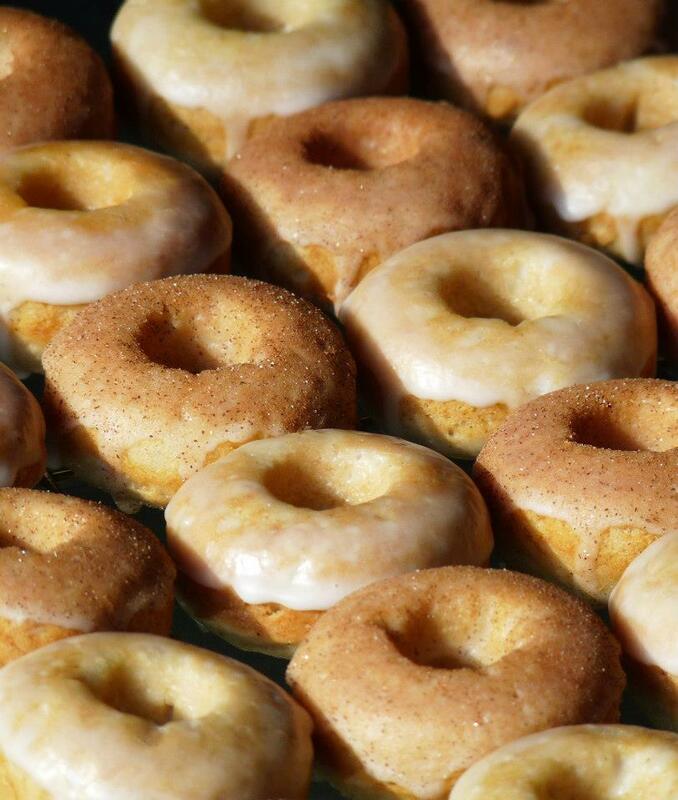 Pumpkin doughnuts. 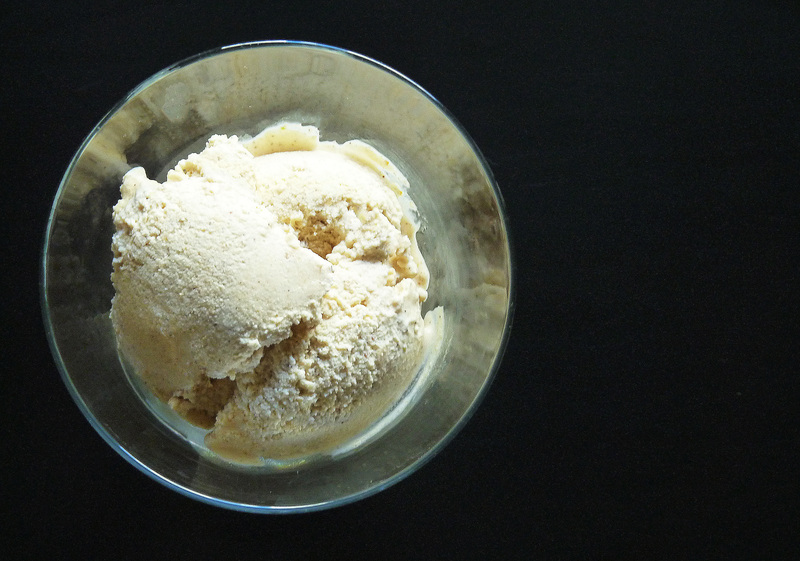 Pumpkin custard. Pumpkin cookies. Pumpkin cheesecake. Pumpkined pumpkin, with pumpkin. I want it all. It might therefore come as a bit of a surprise that – before this week – I had only once tried my hand at a savory pumpkin dish. Why waste perfectly good pureed pumpkin on something that isn’t, well, filled with equal parts sugary deliciousness and creamy yummosity? Because, my friends, sometimes perfectly good pureed pumpkin can be mixed with chicken, bacon, sage and garlic, and make the dreamiest baked pasta EVER. I had my doubts about this recipe. I don’t care for onions, and wasn’t convinced I would like the combination of chicken, bacon, and pumpkin. Silly me – this was SO tasty. My husband – who also doubted he’d like this – was instantly hooked as soon as he took a cheesy, velvety, pumpkiny bite. It is the perfect Sunday dinner; while a little extra cooking time is needed, you’ll have delicious leftovers for days! It’s good to see you, pumpkin season. Stick around for a while, won’t you? Heat the butter in a large skillet over medium-low heat. Cut the onion into thin slices and add to the melted butter. Keeping the heat on medium-low, cook the onions until they are caramelized and deep golden brown, about 20-30 minutes. For a little extra sweetness, add a splash of white wine as they’re cooking. While the onions are caramelizing, puree the garlic, pumpkin, chicken broth, milk, olive oil, salt, sage, nutmeg, and pepper in a blender until smooth. Add to the caramelized onions in the pan and cook until heated through. Remove from heat and set aside. Bring a pot of water to a boil and add the chicken, cooking for 10-15 minutes or until the chicken is no longer pink in the center. Remove from the water; when cool enough to handle, shred the chicken into the pumpkin sauce. Add the crumbled bacon, if desired. Cook the pasta according to package directions, stopping a little early so they are still firm enough to hold their shape in the oven. Drain. Preheat oven to 350 degrees Fahrenheit (175 degrees Celsius). 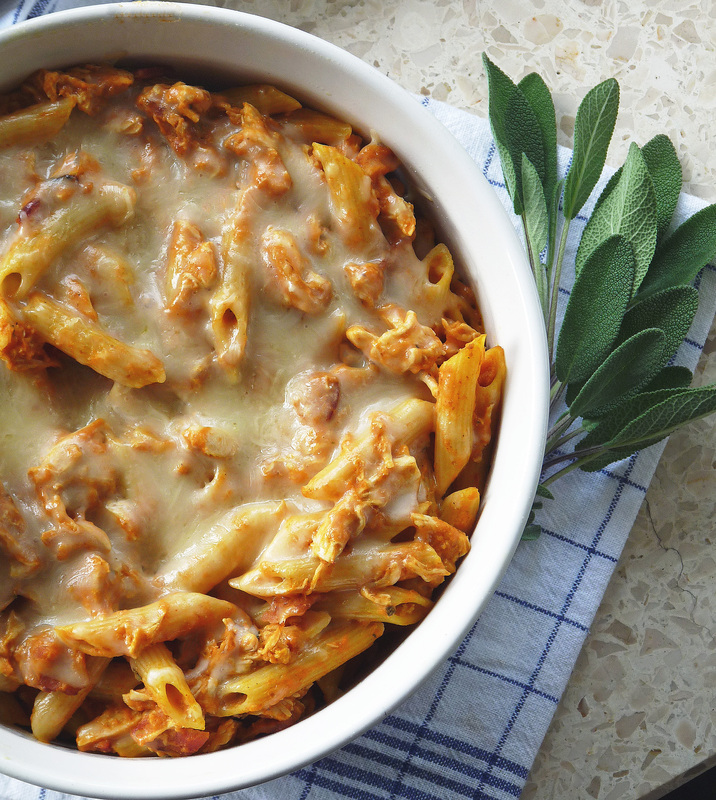 Toss the cooked pasta, chicken, bacon and pumpkin sauce with 1/2 cup mozzarella cheese. Transfer to a greased baking dish, top with remaining cheese and cover with greased foil to prevent sticking. Bake for 15-20 minutes, or until the cheese is melted and the sauce is bubbling. Let stand a few minutes before serving. This statement hit me like a ton of bricks – in a good way! – when I heard it yesterday. This move from California to Germany has really tested my ability to ‘go with the flow’ – to let things fall into place without excessive hand-wringing, all-consuming worry, and internal meltdown on the scale of Fukushima. Where will we live? What will we do until our car arrives? How will I pay my student loans if we don’t have a second income? I can’t understand what anyone is saying!!! Long story short, I need to chill the f___ out. I need to stop worrying. I need to stop dreading that every situation – finding a home, buying a car, getting a job, learning the language – is going to be difficult. I need to stop assuming that things won’t “work out”; that there will be nothing but hiccups, roadblocks, and doors slammed in our faces. I need to be strong enough and prepared enough to deal with the occasional challenge or disappointment – because there will be some, inevitably – but not ruminate about their eventuality. I need to take a deep breath, keep my chin up, and smile. I need to be positive, hopeful, and determined. I need to remember that I am extraordinarily blessed – with wonderful friends, the most loving family (furbabies included! ), and a wealth of amazing experiences. Life truly is rigged in my favor. I need to start living it that way! So, back to food. I was surprised and delighted to find a small kitchenette in our temporary accommodation here. It has just about everything I need to continue cooking and baking for our family until all of my pots, pans, and gadgets show up with our household goods in November. #rigged! The preparation space is a bit on the wee side, so I’m trying to keep our meals simple and healthy; this dish fit the bill on both counts! The original recipe – from Food.com – listed the garlic as “optional”. Optional?! In my world view, garlic is never optional, and should be doubled whenever possible. I even swapped out Italian seasoned breadcrumbs for the garlic and herb variety. Sure, I’ll have raucous breath for a few days, but I’ve shared the wealth with my husband and so far we’re canceling each other out. That’s how it works … right? This dish is easy to prepare and takes less than 30 minutes start to finish. My husband – who visibly cringed when I said “we’re having something vegetarian tonight” – gobbled up two of these as soon as they were cool enough to eat. So did I, despite never having been much of a tomato fan. Give them a try – you won’t regret it! Slice the tops off the tomatoes and set aside. Scoop out the seeds and pulp from the tomatoes with a teaspoon, being careful not to cut through to the base or sides. Chop the pulp and keep the seeds, but discard the hard, central cores. Place the pulp and seeds in a medium bowl. Add the parsley, garlic, bread crumbs, cheese, and pepper and mix gently to combine. 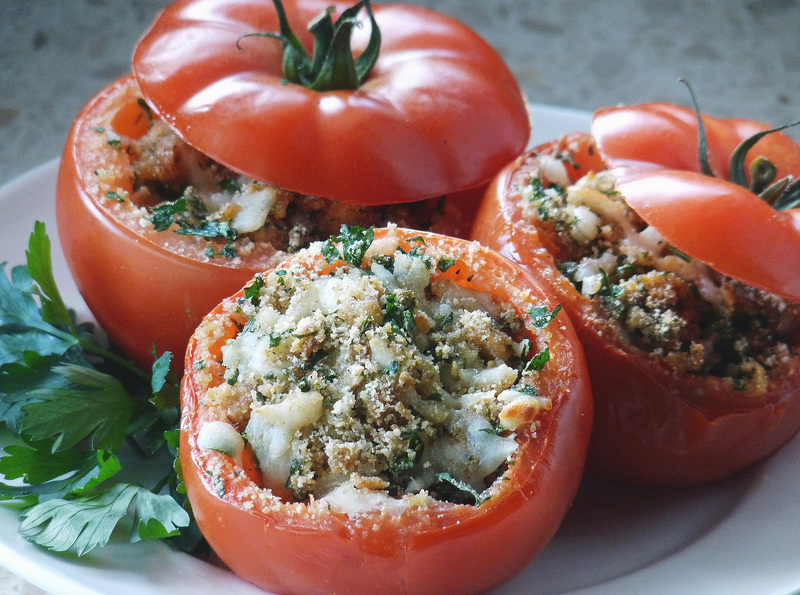 Place the hollowed tomatoes in a buttered casserole dish, and fill with the bread crumb mixture. Drizzle the top of the tomatoes with olive oil. Bake until the tops are browned, approximately 20 minutes. Today’s feature is a guest post from my favorite baking goddess – my lovely mum Marilyn – who graciously offered to make this delicious lamb curry during a recent visit to our home in California. 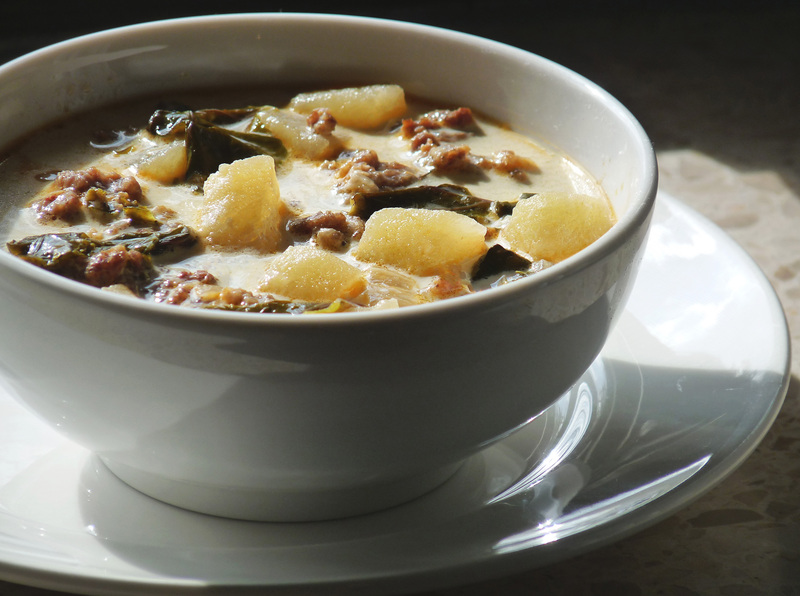 The original recipe (from Food.com) is S-P-I-C-Y – just the way I like it! – but can be adjusted for those with less adventurous palates. You may also substitute chicken breast for lamb, if looking for a more budget-friendly family meal. The combination of spices – cinnamon, cloves, turmeric, cayenne pepper, and garam masala – is delectably fragrant while cooking, and absolutely heavenly (if someone fiery) while eating. 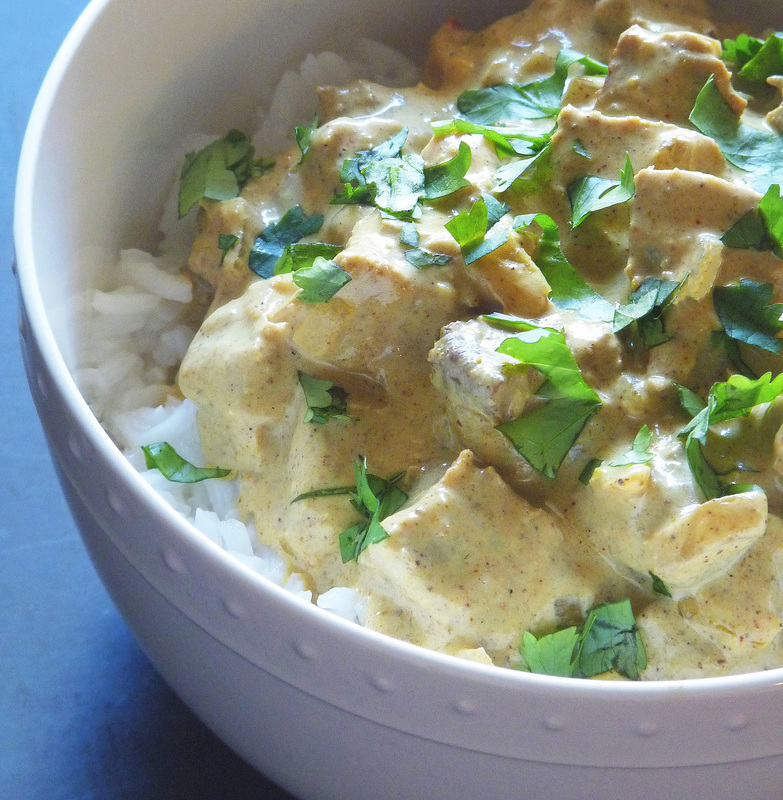 I would definitely make this curry again, and encourage you to give it a try as well. Enjoy! Heat oil in large pot or pan; add bay leaves, cardamom, cinnamon stick, peppercorns, and cloves. When leaves begin to sizzle and fragrance starts to release, add onions and saute until light golden, about 12-15 minutes, stirring frequently. Stir in the ginger paste, garlic, and lamb. Season the lamb with salt; continue cooking, stirring mix for about 20 minutes more, adding a little water if necessary to keep ingredients from sticking to pot. Add turmeric, coriander powder, cayenne, and garam masala; stir for 5 minutes, adding 2 tablespoons water. Add diced tomatoes, and cook for 5 minutes, stirring frequently. Then add remaining 4 cups of water and simmer for 15 minutes, or until meat is almost tender. Whisk the yogurt with a fork; then add to pot slowly. Then cook until meat is done to your liking and sauce is thickened. Garnish with cilantro leaves and serve with steamed basmati rice, or hot naan. I’ve been quite keen to make this pasta ever since discovering the recipe in the January 2012 edition of Olive magazine. 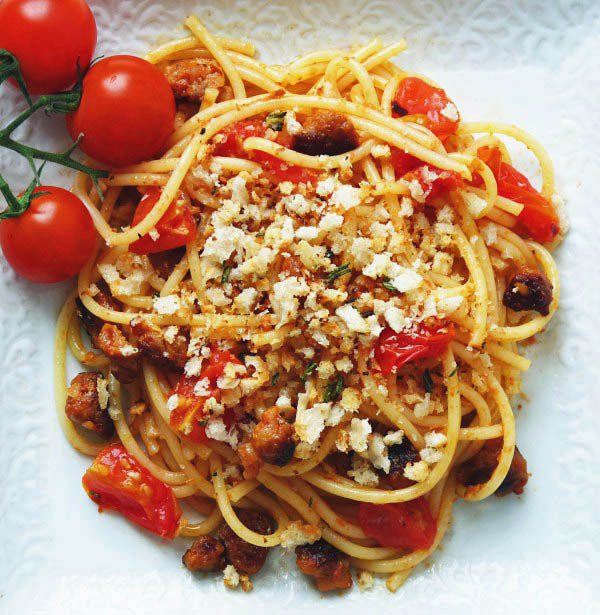 Chorizo, garlic, tomatoes, fresh herbs, breadcrumbs – how can you go wrong?! As a matter of fact, you can’t go wrong with this dish, as it’s quite possibly the easiest and quickest homemade pasta I’ve ever tossed together (literally). What is pangritata, you may ask? A mixture of breadcrumbs and fresh herbs lightly toasted in olive oil, pangritata (or ‘poor man’s Parmesan) is the ingenious invention of southern Italians eager to add flavor and texture to pasta without the added expense of fine cheeses and other ingredients. In this recipe, pangritata is made from the crumbs of a day-old ciabatta loaf and fresh rosemary, although other hardy, aromatic herbs – including thyme and sage – are also excellent substitutes. Toasted pangritata adds great color and crunch to this hot and flavorful dish, one that goes from fridge to table in less than 20 minutes! Cook the spaghetti according to package instructions. While cooking, heat two tablespoons in a pan and add chorizo. Cook over medium-high heat until starting to crisp – approximately 3 to 5 minutes – then add chili flakes, garlic and tomatoes. Cook until the tomatoes just start to burst, approximately 2 to 3 minutes. In a small frying pan over medium heat, warm one tablespoon olive oil. Add breadcrumbs and toast, stirring often, until crisp and golden. Add rosemary and stir through. Drain the spaghetti and tip into the chorizo pan. Toss together with 1/4 cup crushed tomatoes, if desired, then sprinkle with rosemary pangritata to serve.